The 4 Gospels—Matthew, Mark, Luke, and John—offer firsthand accounts of Christ’s ministry on earth. 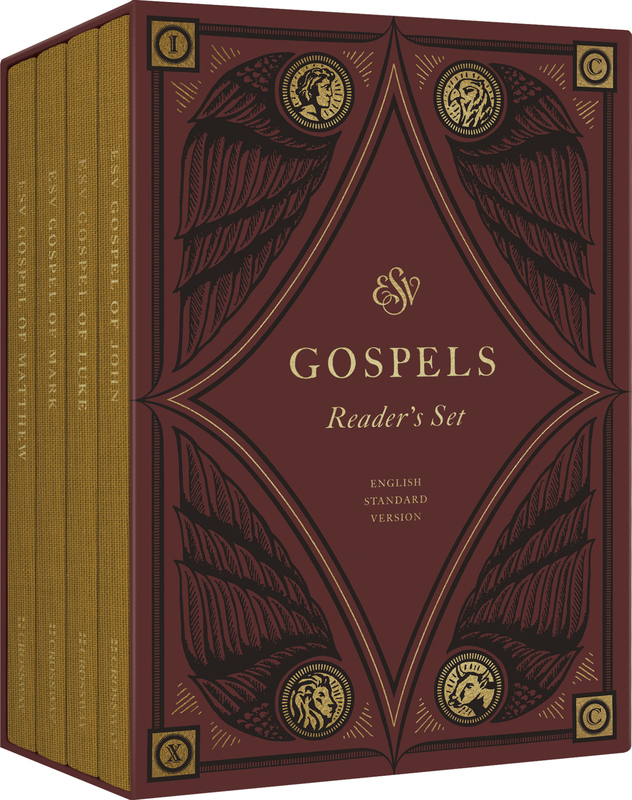 The ESV Gospels, Reader’s Set presents each Gospel in its own stand-alone volume packaged all together in an elegant slipcase. Printed on book paper with smyth-sewn bindings, this set features single-column text that is free of all verse numbers, chapter numbers, footnotes, and most section headings, resulting in a novel-like reading experience—helping readers immerse themselves in the life and ministry of Jesus.